Many, many years ago I read that the name “Easter” was a variation of the name for a Pagan fertility goddess, and that the date of Easter was made to align with pagan spring fertility celebrations. Well, I already knew that the date of Easter was based on the date of the Jewish Passover, but that fertility goddess thing really made sense to me. After all, the comparisons to the names Ishtar, Ashtoreth, etc certainly looked like that’s where the name came from. I know two books used in the many writings/books I have read were Babylon Mystery Religion and The Two Babylons, the former book citing the latter as its source. I bought the former in 1994, while the latter was given to me about 10 years later. By the time I read Alexander Hislop’s The Two Babylons, I had been studying apologetics for a long time, including the Roman Catholic Church - the object of Hislop’s book - and recognized there were problems with many of his claims. But I never gave another thought to the claim about the origin of the name of Easter, and have actually been propagating that story as late as a couple weeks ago! Well, the wonderful ministry Answers in Genesis put out a couple articles this week examining the source of the date of Easter and the origin of its name. The first article didn’t give me any new data (as noted, I already was aware of the date origin), but the second one was a real eye-opener! It seems the best explanation of the word “Easter” has nothing to do with the names of pagan goddesses, but is instead based on the German word for "resurrection"! If you are still being told that the Romanist church made the date of Easter to make the pagans happy, or that the name of Easter was chosen by the Roman church also to give succor to the pagans, I suggest you review the two articles by AIG. And get rid of your Alexander Hislop book! I was cleaning out some of my files today and came across some old articles with some still-current information about the Roman Catholic Church. These articles just give more evidence as to the apostate, aberrational and even heretical nature of that organization, proving it is just an institution founded my man. One of the things I came across in more than one article is the foolishness of venerating relics. Not only that, but the foolish claims associated with the relics venerated! Think about it: there is no biblical evidence for the person or the veil, and it was no more than a legend which came about hundreds of years later. It is rank superstition to suggest Jesus’ face would appear on a piece of cloth that someone used to wipe His face. It is rank superstition to believe this tattered fabric has “wondrous properties.” And yet Rome and its “infallible” pope supports this foolishness. Almost 800 years after Christ died the Roman church decided a building could not be consecrated without a relic. Where did this unbiblical belief originate? This author makes a claim for its origin, but it would be interesting to see the evidence as to what time period this took place; when did this superstition begin? This is another demonstration as to the unbiblical nature of the Roman Catholic Mass. The Roman Catholic Church has supported evolution over creation; man’s changing ideas of science over the Word of God. They think as long as God was involved in evolution, there is no conflict with Scripture. I find it interesting that evolutionists themselves see the conflict and yet the Roman Church doesn’t! Pope John Paul was a theistic evolutionist. Cardinal Christoph Schoenborn called evolution “one of the very great works of intellectual history.” What a sad belief in something which has no empirical evidence to support it! Yet the Church has taught that the soul, created separately, would have been imparted into an evolved human being. What happened to Adam and Eve? And to top it all off, the Vatican astronomer, Guy Consolmagno, says that belief in a 6-day creation is pagan superstition! And good old Pope Benedict XVI says we have to listen to the earth talking to us and that it is an “absurdity” to debate creation and evolution. He claims there are many scientific proofs for evolution. Rome has made it very clear that the Bible’s story of Creation is not factual, that God used evolution to create mankind through millions of years of mistakes. And this is the church which claims their pope is infallible and the true representative of Christ on earth! Rome puts the Bible aside and venerates relics and promotes evolution. And yet they claim to be the one true church! Where Is the Teaching About Discernment? This is a repost of an article I posted one month after I started this blog in late 2007. It is just as valid now as it was then. One of my greatest frustrations with the church at large today is the lack of willingness on the part of pastors to preach on discernment issues. Where is the assembly where a pastor will spend a sermon preaching about false teachings in the church? There is so much poor teaching in the average stuff found in so-called "Christian" book stores that they are virtual minefields for the undiscerning, and yet you don't hear that message from the pulpit. Fads bring new books into the hands of unsuspecting Christians on a daily basis. What is worse, is not just the poor teachings, but the aberrational, apostate and even heretical teachings adorning the bookshelves of these stores, and very often the shelves of the Church libraries. Pastors on the whole don't address these issues to warn the flock of the danger of these false teachings; they are unwilling to name names of false teachers. Meanwhile the sheep of these flocks buy these books with their cyanide-laced pages without ever being warned. Where is the pastor who will speak out against the legalistic, scripture-twisting darling of the home-school movement, Bill Gothard? Where is the pastor who will speak out against the scripture-twisting of Rick Warren? How many have been warned about the Blackabys and their mysticism ("Experiencing God", etc)? Where is the warning against the aberrational spiritual warfare models of Neil Anderson? How many women are enthralled by the Word of Faith heretic Joyce Meyer? Bruce Wilkinson had his books, starting with "The Book of Jabez," which twisted the referent Bible passage beyond all contextual meaning, and they sold like hotcakes to the point where Emmaus Bible College - a normally solid school - was giving them as gifts to graduates! Where was the discernment? Beth Moore is known for some good teachings but she also twists the Scriptures very often beyond all recognition and also teaches the same spiritual warfare aberrations as promulgated by Neil Anderson and the Word of Faith heretics. Where is the warning about these from the pulpit? What about the best-selling books by Joel Osteen; where is the pastor preaching against these from the pulpit? John Eldredge's book "Wild at Heart" is "wildly unbiblical" (to quote Midwest Christian Outreach), as is his "Waking the Dead," both rife with pop-psychology and unbiblical teachings and yet they are promoted by the church at large! I could go on and on listing false teachers and their books, but I think you get the idea. Christians are being fed a steady diet of spiritual junk food that makes them feel good, and yet they are being slowing poisoned with poor teachings, aberrations, apostasy and even heresy because the vast majority of pastors refuse to address such issues. Pastors, it is time to protect your flocks from the wolves in sheep’s clothing! The epistles to Timothy and Titus are full of exhortations to hold fast, and to stand fast in the faith. Believing that example is better than precept, the apostle, with the axman’s block in sight, declared that he had kept the faith. To every one of us in these apostate days there comes the clarion call from Paul of loyalty to the Scriptures and to the faith once delivered unto the saints. Some of our theological seminaries and colleges are hotbeds of destructive, diabolical criticism. Many of our pulpits are manned by those who, in their hearts, discredit many of the cardinal truths of Scripture, but who dare not preach all that they believe and discuss in their ministerial fraternals in case the outcry against them is greater than it is at present. I have to address the issue of Easter and Christians. Some cities are dropping the word “Easter” from their annual egg hunts and other such frivolity, and Christians are in an uproar about the removal of all things “Christian” from such events. 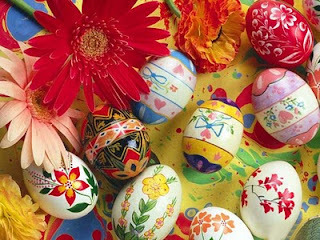 Okay, Christians: Can you explain to me what all this egg and bunny stuff has to do with the resurrection of our Lord? The fact that Christians adopted these pagan practices for celebrating on Easter is an affront to the name of Christ to begin with. So quit belly-aching about anyone dropping the name “Easter” from these pagan celebrations. Kids 2yrs through 6th grade will enjoy this fun-filled annual Easter celebration loaded with prizes, candy and skits! We will meet in the Sanctuary at 10:00 AM for a short program followed by the Outdoor (weather permitting) Egg Scramble (divided by age) with over 16,000 filled eggs! Bring all your friends – this is one EGGSTRAVAGANT event! I believe this is as wrong-headed as it gets. 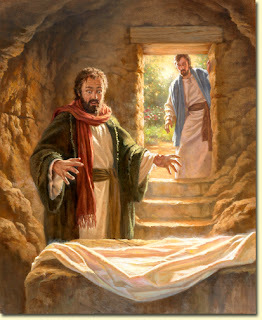 Church leaders: Do you really think this is the way Christ would have wanted the Church to celebrate His resurrection? I highly doubt it! What purpose does this serve for the Church? This does nothing but confuse kids, let alone adults, as to what Resurrection Day is all about. And it certainly is not wise stewardship of church money! Christians, we need to separate this foolishness from the celebration of the most important event in history. If you want to give your kids “Easter” baskets, then do something like we did in our family and have a “1st day of Spring” celebration in your family. But the Church should have no more to do with the Easter bunny and eggs than it should have to do with Santa Claus. Please, please stop the association of these practices with the day we celebrate the Lord rising from the dead. The tragedy is that in many quarters the Church has accommodated itself to the spirit, methods and ways of this worldly age, and is consequently crippled in its spiritual influence and power. No particular church can expect to influence the world, if, like the world, it has its social clubs, dramatic societies, cricket and football teams, cinema shows and concert displays. Were our Lord to enter some churches as He did the Temple long ago, we feel sure that he would re-echo His stern message of condemnation - “Take these things hence; make not my Father’s house an house of merchandise” (John 2:16). The weapons of the Church are not carnal, but spiritual. By prayer, holiness, faith and consecrated service, she is to win the world. And, needless to say, the clearer and cleaner the mark of separation from those pursuits and ways that characterize the world, the greater is the influence and power she exerts. Nothing is gained but all is lost by compromise, and many have proved to their sad cost. What About Babies and Salvation? Over the years I have heard much debate as to the destination of young children, including those who died before birth (be it miscarriage or abortion); are they in heaven? For those who believe in the unbiblical doctrine of baptismal regeneration, this becomes a real quandary. The Roman Catholics invented a place called Limbo where these children go, which has been described variably as a place of natural happiness or of mild punishment. Others, including a Lutheran pastor of a church we once attended, claim they go to hell. Still others, like me, believe the destination of these children is heaven. Let me give some thoughts from Scripture (HSCB). + Isaiah 7:15-16: “By the time he learns to reject what is bad and choose what is good, he will be eating butter and honey. For before the boy knows to reject what is bad and choose what is good, the land of the two kings you dread will be abandoned.” Again notice how God says young children do not know - have not learned - to choose between good and evil. These passages which state that we are judged according to our works imply that we have knowledge of right vs wrong, and a child not having this knowledge would be free from such judgement. + 2 Samuel 12:23: “But now that he is dead, why should I fast? Can I bring him back again? I’ll to go to him, but he will never return to me.” David is talking about the death of his son. Notice he says that he will be able to go where his son is. Where is his son? Apparently with the Lord. + Matthew 19:13-14: “Then Children were brought to Him so He might put His hands on them and pray. But the disciples rebuked them. Then Jesus said, ‘Leave the children alone, and don’t try to keep them from coming to Me, because the kingdom of heaven is made up of people like this.’” Mark 10:13-15 is a parallel passage to the Matthew passage, and vs 14 gives this as Jesus’ response: “Let the little children come to Me. Don’t stop them, for the kingdom of God belongs to such as these.” This is repeated in Luke 18:15-17. David believed that his child was with the Lord, and Jesus says that God’s kingdom is for “such as these” - not only children but those who become like children in their faith. So let’s look at the issue of not only children, but also those with the mental capacity of a child - or even less. There has been a long-standing teaching among Jews and Christians about an “age of accountability.” Some give numbers such as 8 years old, but others don’t. If there is such an age, I would say it would have to be variable because each person matures at a different rate, and some may be a genius at four years old while others may not have a clue until they are almost pubescent! The God of the Bible is a loving and merciful God, and not one who would condemn to hell the souls of children who never saw life, let alone children who not only never learned right from wrong, but also never matured enough to know anything about spiritual matters. And this of course would apply to those with severe mental disabilities whose mental capacity is no more than a child’s. I cannot be dogmatic about this subject because the Bible does not specifically state children are saved, but I think the implication is certainly there. Faith, then, rises into the sphere where God is all and in all and in which He moves and rules without limitation of godless reasoning. Reason is full of “whys” and “wherefores.” Faith, on the other hand, asks no questions. It takes God at His Word. In the realm of truth it is not what do reason and experience say, but what does God say, that counts, and faith rests in the assurance that there is nothing too hard for Him. Outer marks of the new birth are new characteristics. Old things pass away. The fruits of the Spirit quickly manifest themselves in the outward life. Physical force is one evidence of physical life; thought and reason furnish evidence of intellectual life; so the fruits of the Spirit and then new spiritual activities of the transformed life prove the new birth. Other evidences are a change of companions, of pleasures, of interests. “All things become new.” What was previously loved, is now hated. Sins hitherto relished are not abhorred. Regeneration brings with it a new set of values. The outer change may be more conspicuous in some lives than in others. A person brought up in a Christian atmosphere, who has never journeyed into deep and horrible sins, but who was religious in his ways, will not, when he turns to Christ, exhibit the same transformation of life as a man who was degraded and debauched in life. But whether moral or immoral makes little difference. Once the new birth takes place in a person, good or bad, there are changes evident to all around.